Since 2016, the European Journalism Centre has funded in-depth reporting on global health issues. Focused on improving awareness and understanding among diverse audiences in Germany, the results of the 19 reporting projects supported with €15,000 on average turned out to be quite impressive. The grantees covered a diverse range of global health topics across many developing countries. To directly engage with the German audience, each funded story needed to employ a “German angle” – through funding, bilateral or multilateral cooperation, or through initiatives based in Germany. This allowed German audiences to connect to these global stories and topics that span across borders. Each project was published in six different outlets on average, resulting in 123 publications to date, with more to come. 46 different media outlets ranging from regional publishers to media with national outreach like Der Spiegel published at least one under-reported global health story. The impact these storied had in Germany were multifaceted: our grantees were contacted by politicians and stakeholders for more information and they were invited to speak on expert forums and conferences. Their reporting resulted in donations to NGOs portrayed in the stories and in engagement and behaviour change in global health stakeholders. Overall, there was a noticeable increase in awareness among very diverse audiences in Germany. These were the reasons the European Journalism Centre went for another, the fourth call for applications. Now, we are proud to announce the ten winning projects and the under-reported global health stories and surprising angles they will cover. Read more on these ten projects below! In Sub-Saharan Africa, lead poisoning is currently one of the most severe industry-related health hazards. This project will investigate this disease in the boom country Nigeria, where thousands of children have been contaminated near active gold mines. Additionally, scientists have warned of a new threat around used lead-acid battery recycling plants. 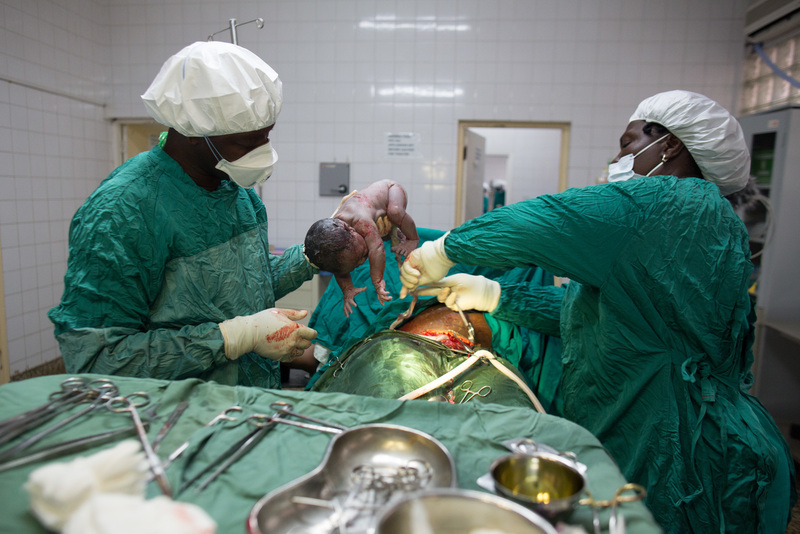 Data shows: The fewer midwives a country has, the more maternal and newborn deaths occur. The journalists will compare the role of midwives in health care and women’s rights in two countries: India, where only a few courses solely focus on midwifery, and Bangladesh, which started to institutionalise the midwifery education eight years ago and where midwives play an important part in places of crisis such as Rohingya refugee camps. What women and children who escaped the captivity of the ISIS had to go through leaves too many of them traumatised. This project will show how a Kurdish-German psychologist tries to save psychologically scarred war victims in northern Iraq by building up a new generation of local psychiatrists who share the cultural background of their patients - an effort to face a mental health crisis that decides on the fate of a whole society. Health experts recommend to exclusively breastfeed newborns for the first six months of their lives, to avoid health risks and ensure optimal development of the child. The journalist will explore why in the Arab world, so many women defy this advise, by investigating into the mix of economic, social and cultural factors which contributes to this severe infant health risk. She will also report on the efforts of humanitarian organisations striving to counter this trend with education and breastfeeding training. Hundreds of million people worldwide are ametropic, or in danger of suffering from severe eye diseases due to sunlight exposure, but can’t afford (sun)glasses or appropriate health care. Besides personal health problems, this leads to great disadvantages in education and work capacity. This project explores possible low-cost solutions to such personal health problems and health care inequalities for people in Africa and Latin America. A strange phenomenon is increasingly observed in the developing world: Undernutrition and obesity exist simultaneously – sometimes even within the same household or individual. This project will show that obesity and undernutrition aren’t simply two issues that have to be addressed in parallel; it will demonstrate that they are linked in a way that has massive ramifications for the future of the affected countries and the development aid. The journalist will travel to the roots of the problem - and to the people who try to tackle it.